This is our B2B website for large scale production issues. If you’re looking for shoe repair, please visit NuShoe.com. Helping brands, manufacturers, and retailers with quality issues since 1994. Services include mold and mildew removal, AQL inspections, upper finishing, repacking, ticketing and labeling, sole delamination, odor removal and any other quality issue you may encounter. We Inspect and Correct Your Damaged Inventory To A Grade Quality. 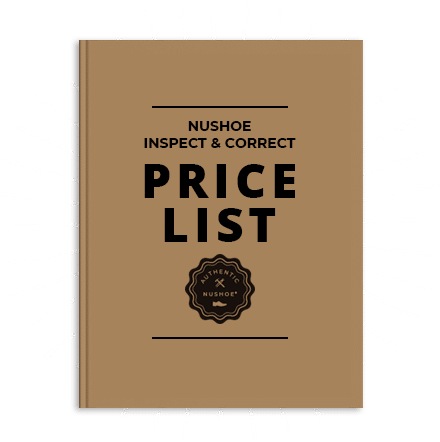 NuShoe Inspect & Correct can repair your damaged stock or inventory to “A” grade quality offering the fastest turnaround times and lowest prices in the industry. We’ll keep your customers and retailers happy and maintain your valuable reputation for quality. Leave it to NuShoe Inspect & Correct to fill your orders on time versus costly delays to replace inventory. 1. Email a summary of your problem and include photos if possible. 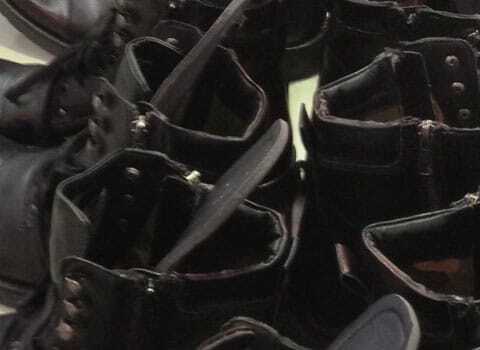 We’ll need to know how many pairs you have, and where the inventory is located. 3. We will contact you with a quote! Or, simply give us a call at 1-619-671-2200 to discuss your quality issue. During your call, we‘ll explore the options for your unique situation, analyze the cost involved and devise a plan of action to solve your problems. Did you receive damaged merchandise? NuShoe can fix it! If you received second quality merchandise and you’re not sure what to do, contact NuShoe Inspect & Correct for a FREE project consultation to explore your options. We’ve performed hundreds of quality control projects and fixed over 5 million pairs of shoes since 1994. Save money instead of replacing your defective items or returning them overseas for correction. You will have peace of mind knowing every project is covered by our satisfaction guarantee policy. Over 1,000 Completed Quality Correction Projects. We have seen just about everything! Mold remediation project. 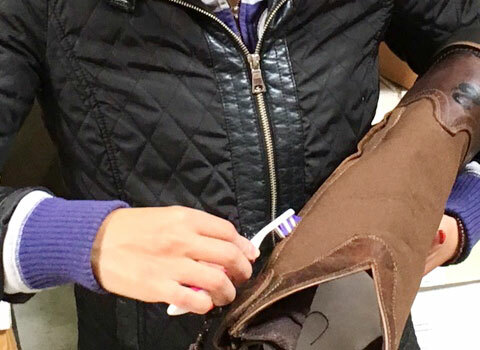 We cleaned and disinfected 325,000 pairs in two months. Remove and replace incorrect footbed on 30,000 pairs. 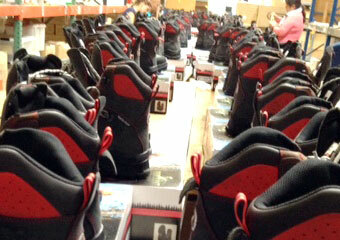 Worked with brand and factory for replacement insole inventory. Refinished 45,000 boots with dull finish. I received a large shipment of expensive slippers, but when I unpacked the boxes, the slippers were damaged by mold and mildew making them unable to sell. I was about to throw them out when I found this incredible service by NuShoe Inspect & Correct. They were able to remove the mold and mildew and repackage the slippers for me. NuShoe allowed me to save my order and more importantly, save money! - Janet P.
Our business is your business and nobody does the repair business like NuShoe Inspect & Correct.